Overcast with occasional breaks in the cloud for weak sunshine. Cool to Cold. Calm or very light wind from NW. Overnight (from about 6pm to 10am ) there was a wet cloudy mist that made a dark night even blacker. A clear drive from Helensburgh saw us at Morar in about 3 hours. 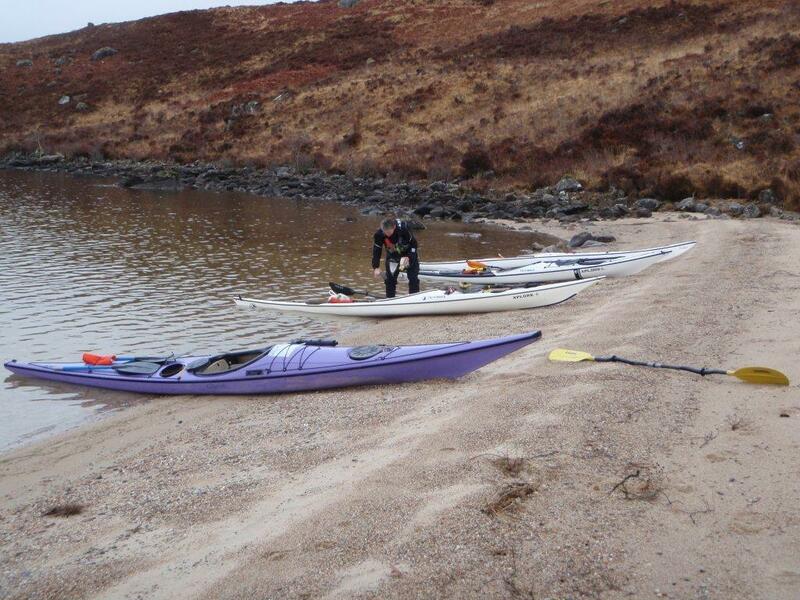 Easy parking just up side road from Morar and an easy beach launch. 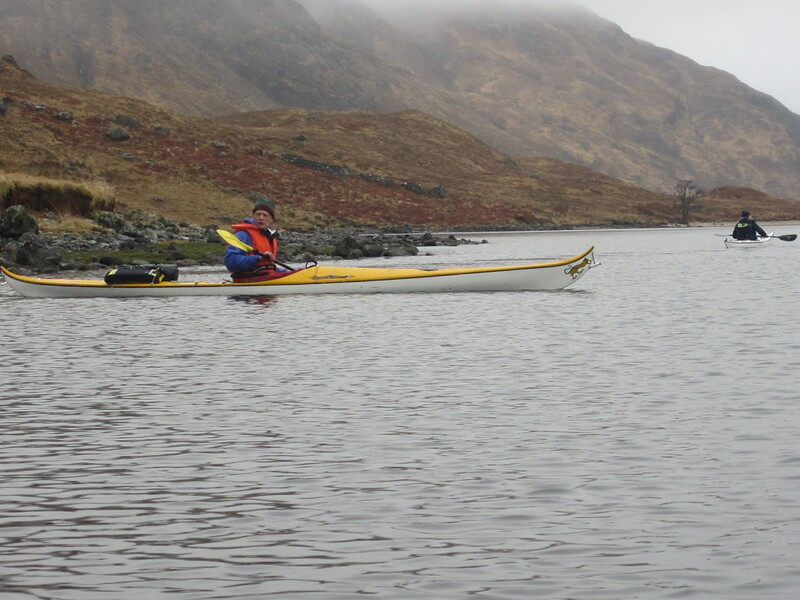 The scenery was superb with wooded islands at the west end and huge steep fiord like mountains at the East. 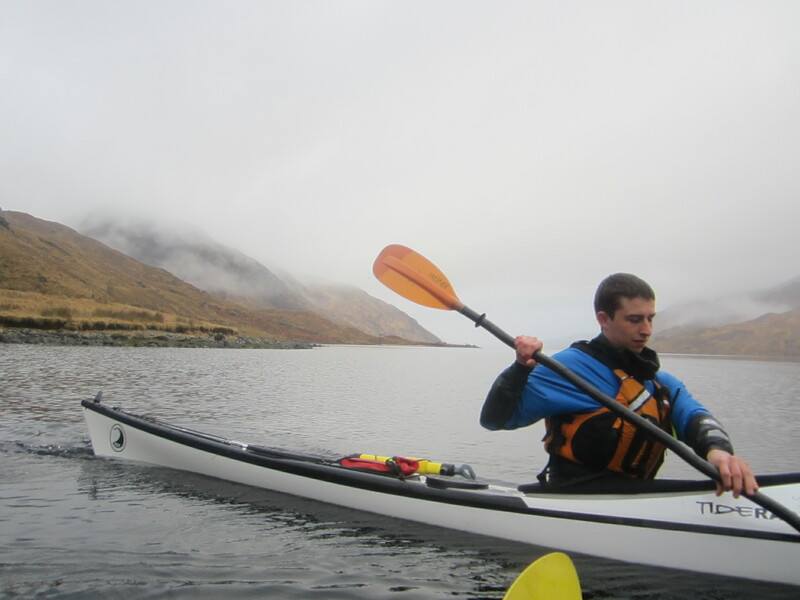 At Swordland we investigated the popular portage across to Loch Nevis. The surface is OK for large wheeled carriers but it is very steep. Not to be taken lightly. 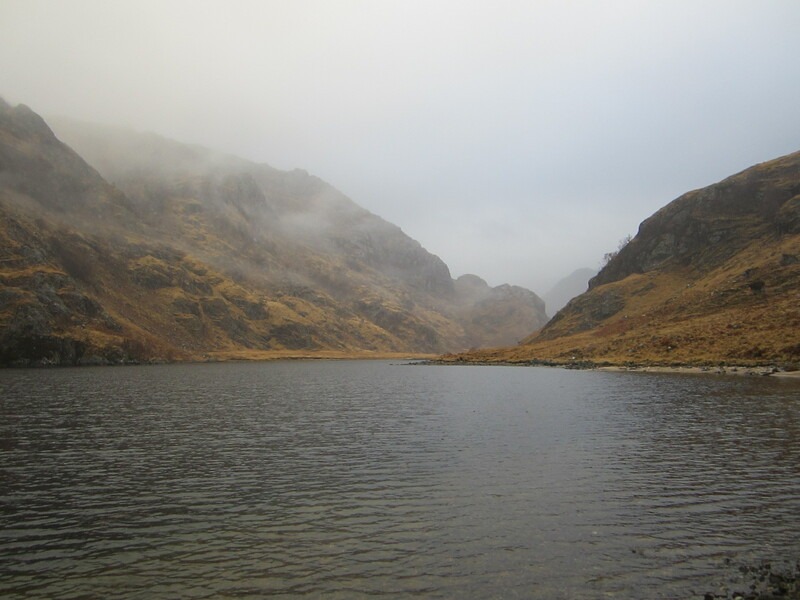 From there we ventured on to the far end of the loch and the MBA bothy which, for some unknown reason, is named Oban. 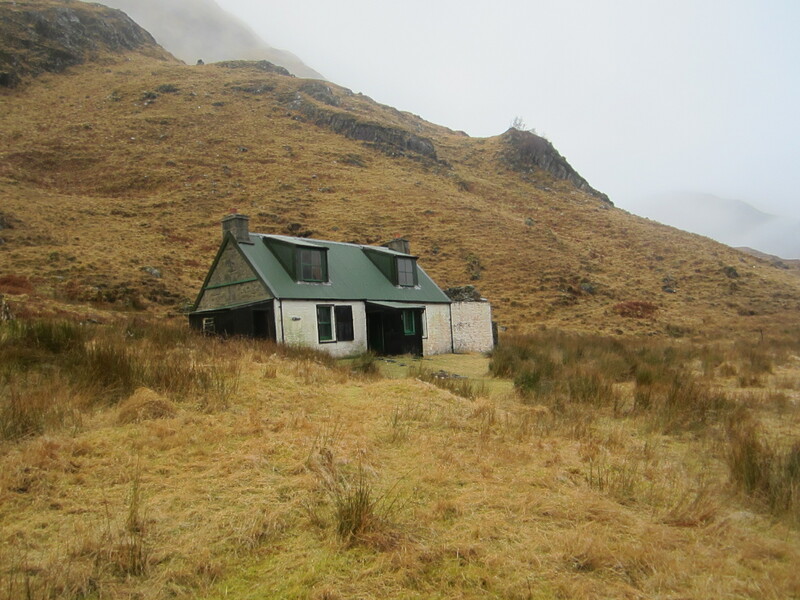 As bothies go this was in the excellent category, dry with a good fire and a wood store. 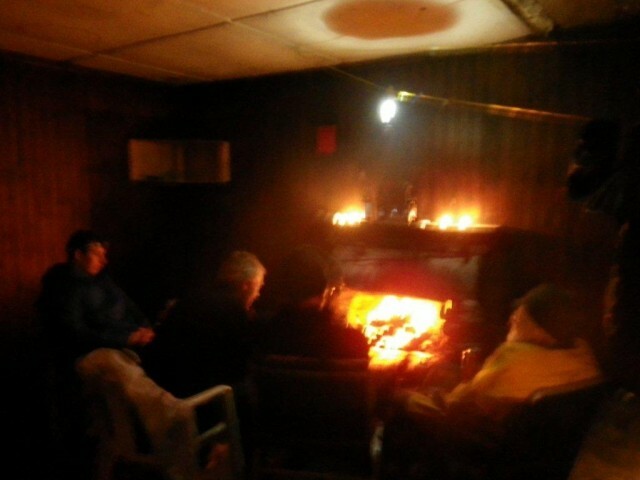 For the next hour or so the woodstore was filled and then the fire lit against the cold and damp now enveloping the bothy. There then followed a good meal, a few drams and some stories. 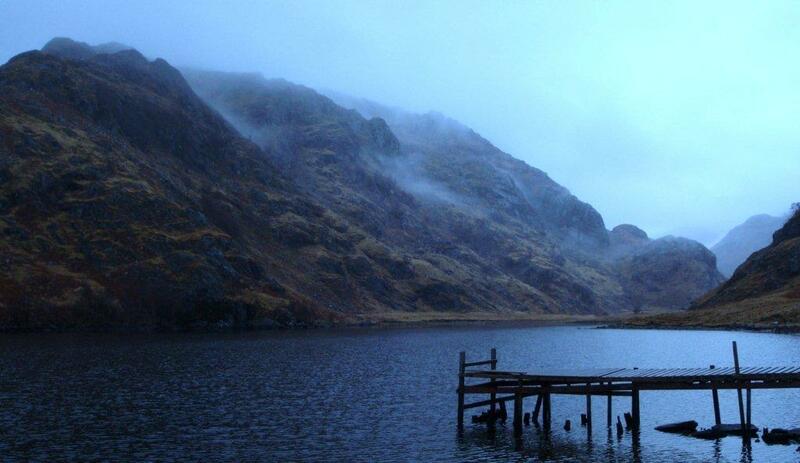 It is worth noting the remoteness of the bothy. 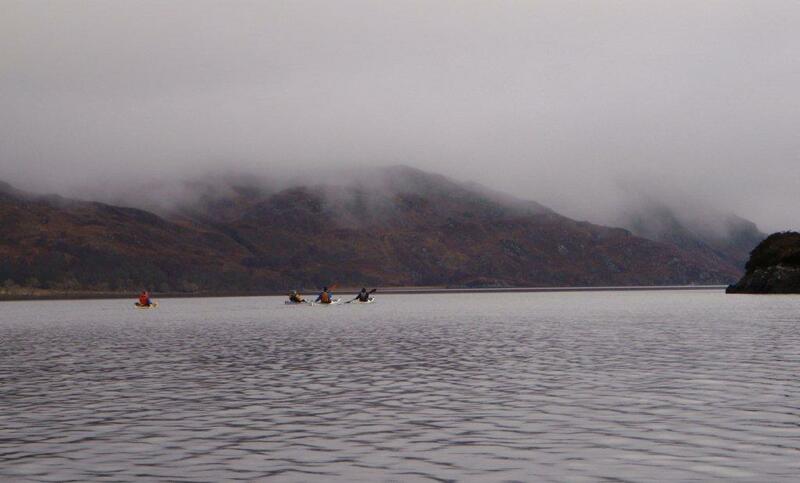 The nearest habitation is Tarbet with a population of 4 and no road to anywhere. The nearest road was our starting point 12 miles away without a path. Indeed there were no established through paths in any direction. 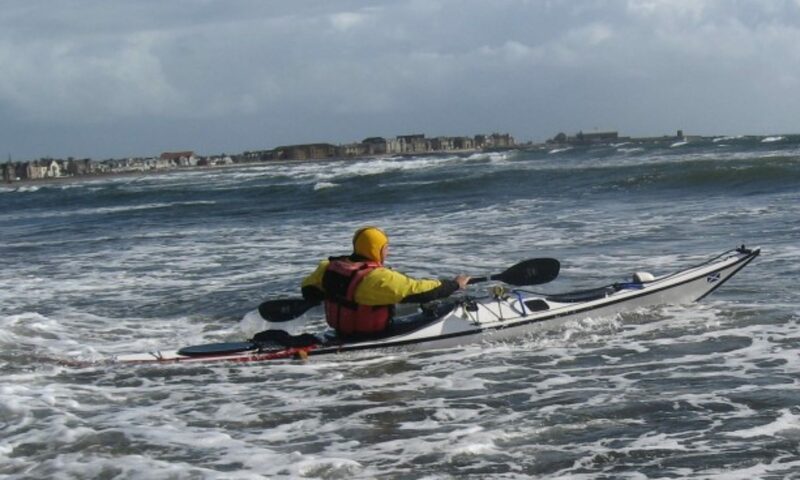 We estimate that we were the only people for around 200 square miles. At 10 pm it was off to bed. The morning broke misty and wet but gradually dried and brightened up. 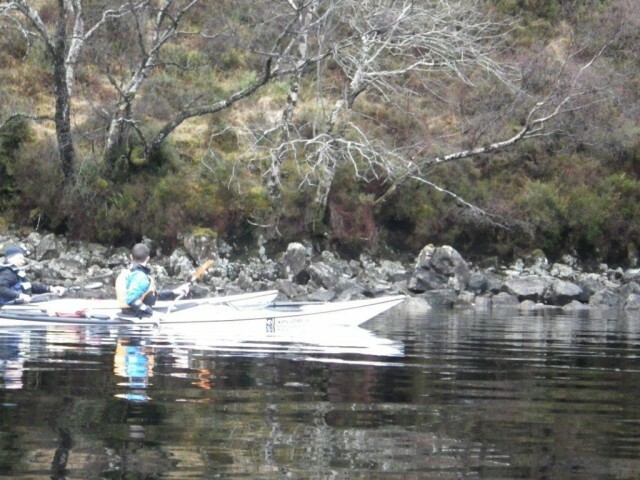 By the time we left, just after 10am conditions were excellent with a flat calm instead of the expected breeze. 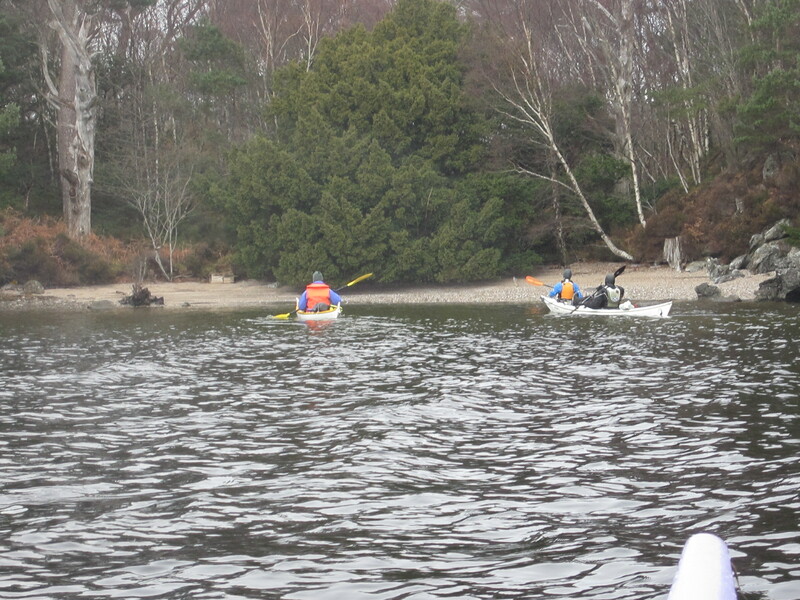 A gentle paddle brought us to some lovely sand beaches at Camas Luinge. 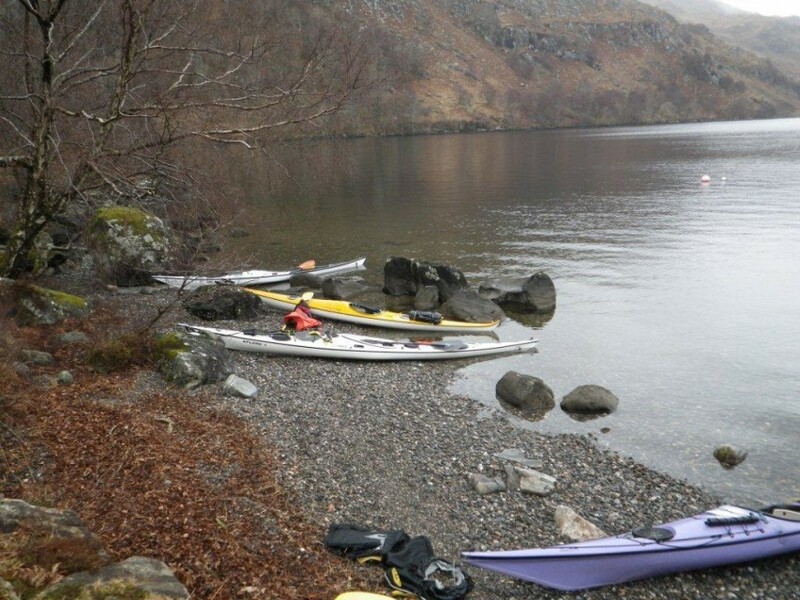 Indeed there were good beaches and camping spots right along the loch. 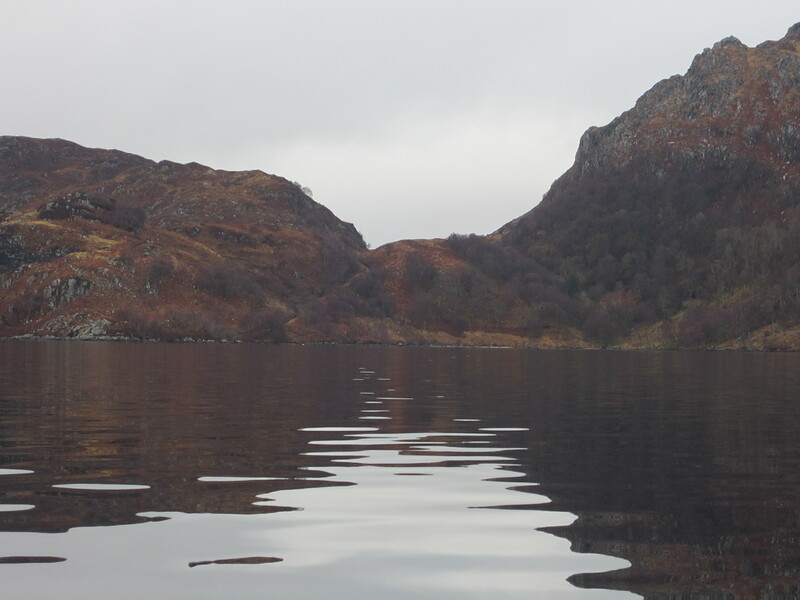 After a coffee break we continued on to Lettermorar. The croft here seems to have been deserted about 20 years ago. 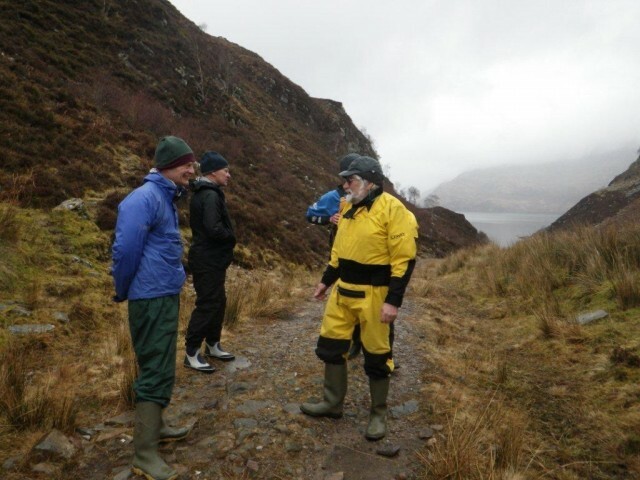 Sadly it appears that the whole loch community including Kinlochmorar and Swordland has gradually disappeared over the last 50 years leaving only the Bothy and a couple of summer cottages. From here we paddled on to the islands where we stopped for lunch. 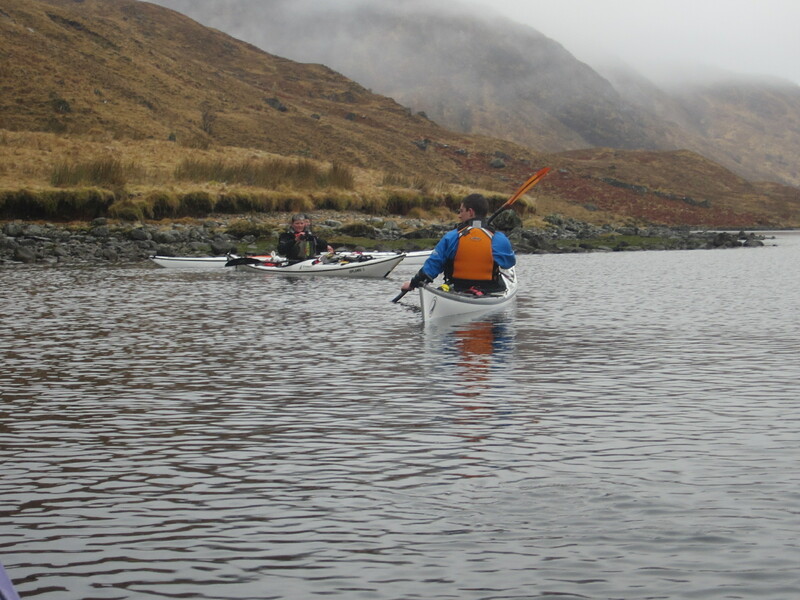 A final paddle back to our launch point saw us at the cars by 03.30pm, away by 4pm and home at 7pm (unless you stopped for the excellent fish and chips at the Real Food Cafe at Tyndrum). Total miles covered in the weekend was 24. 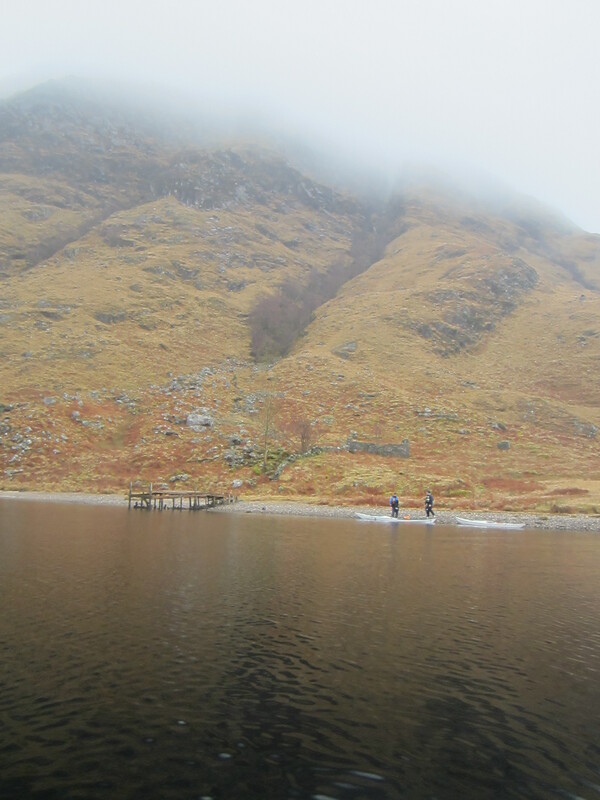 Overall this proved to be a perfect winter trip up an unexpectedly beautiful loch. Recommended.